Here we continue with this series which still promises a long haul! 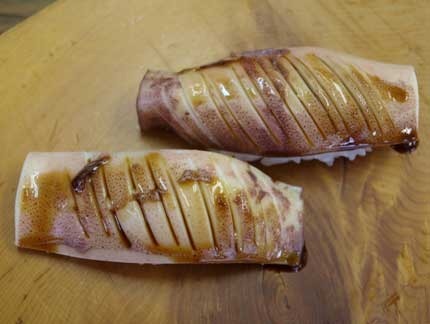 Surume Ika/鯣烏賊 or Japanese Common Squid/Pacific Flying Squid is also called by regional names of Ma Ika, Matsu Ika or Kanzegi. 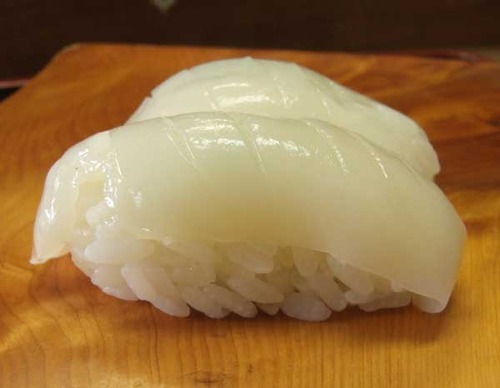 It is caught off the shores of Northern Japan and south of Kyushu Island. The Japanese squid can live anywhere from 5°C to 27°C, and tends to inhabit the upper layers of the ocean. They are short lived, only surviving about a year.